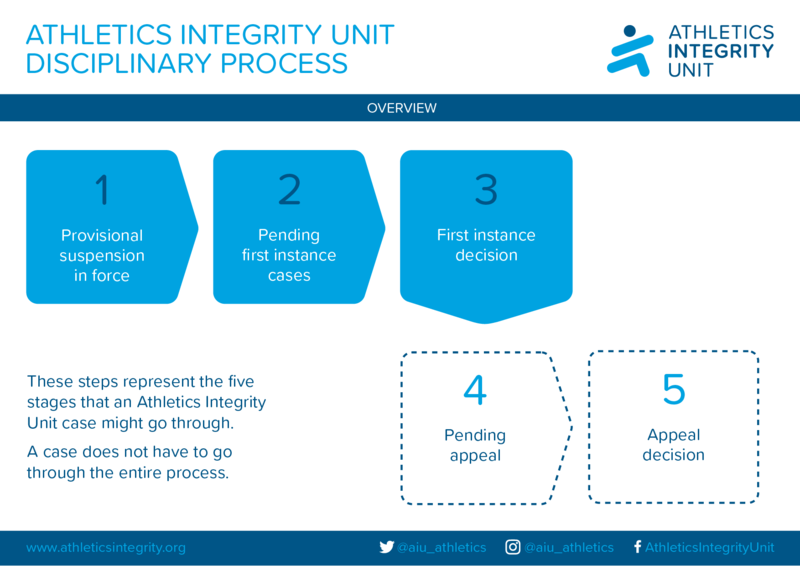 In this section of the site, we present an overview of the Athletics Integrity Unit Disciplinary Process and provide details of all cases that have been dealt with under the jurisdiction of the Athletics Integrity Unit, or have otherwise been overseen by the Athletics Integrity Unit, since its inception in April 2017. Using this site, you will be able to understand the Disciplinary Process and track a cases progress through each stage. Note that case details will remain on this section of the site for the longer of; one month, or the duration of the relevant period of Ineligibility. They will then be removed. For further details, please see the Athletics Integrity Unit policy on public disclosure of cases. 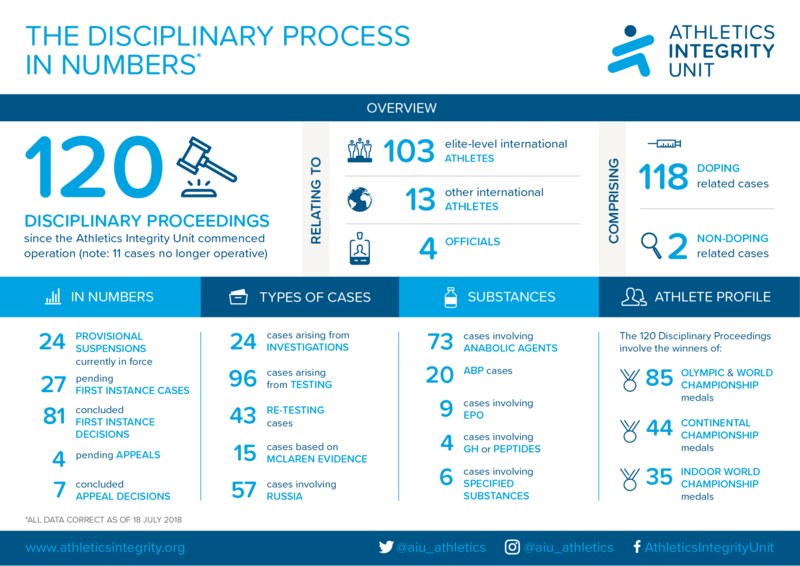 The Infographic above gives an overview of the cases in The Athletics Integrity Unit Disciplinary Process as of 18 July 2018.